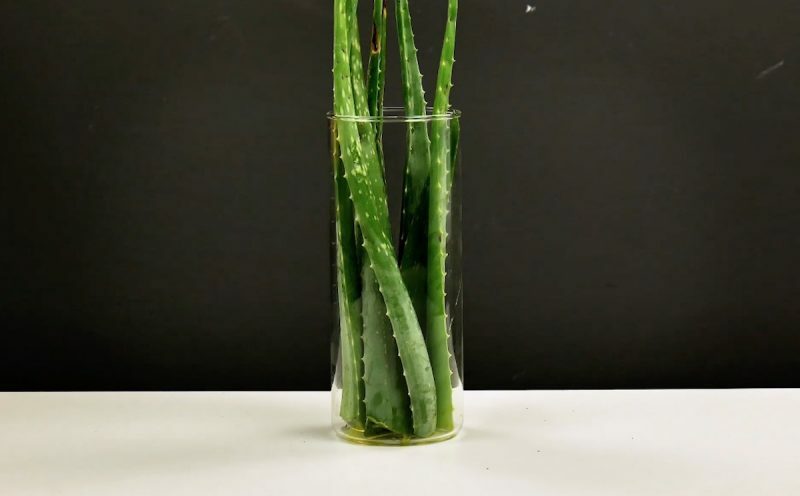 Everyone thinks of aloe vera as a miracle cure-all, and while it may not be the literal embodiment of a miracle, it certainly is a great natural remedy and wonder drug of sorts. Try out the following 4 beauty hacks to see just how great this sensational plant is. 1.1 Cut two leaves off the plant, place them upright in a tall glass, and let them sit for about 15 minutes – until a pale yellow slime forms on the cut surfaces. 1.2 Wash off the slime with water, place the leaves lengthwise on a cutting board, and cut off the edges of the leaves with a sharp knife. 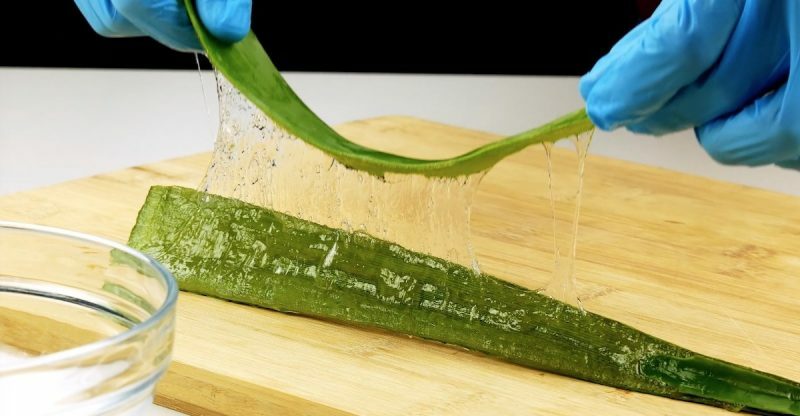 Slowly peel off the top layer and use a spoon to scrape the gel out of the leaves and place in a bowl. 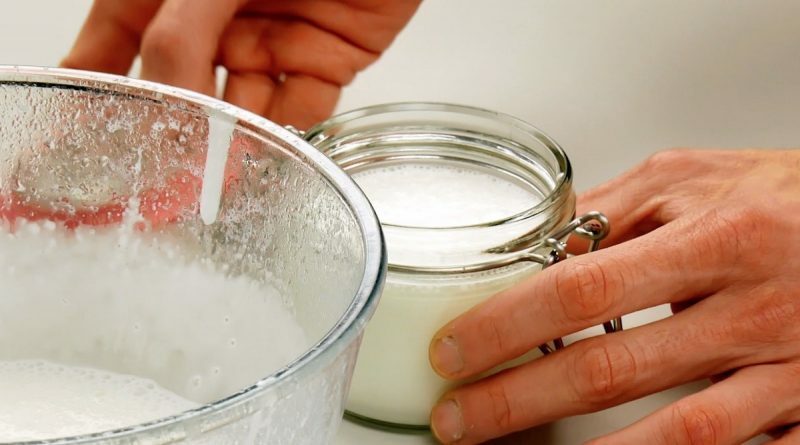 1.3 Add milk, almond oil, and few drops of essential oil to the gel in the bowl. Purée the mixture with a blender and pour into a sealable jar or glass. Apply this to your problem areas and your dry skin will be gone in no time! 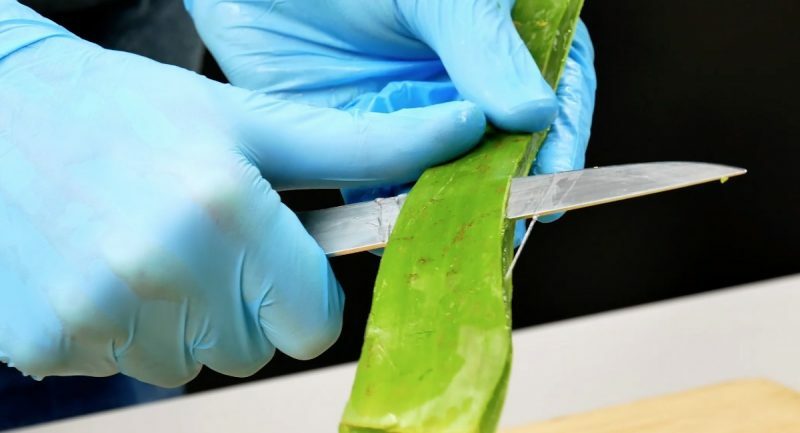 2.1 Cut two aloe vera leaves lengthwise and scrape out the gel. 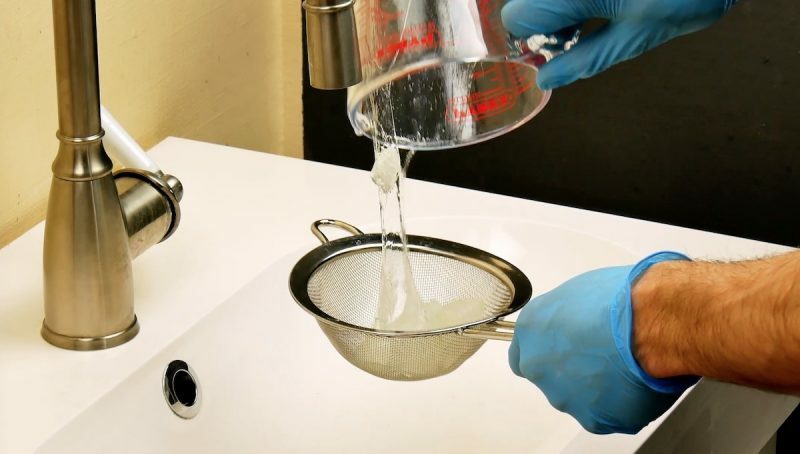 Place the gel in a bowl and add the water. 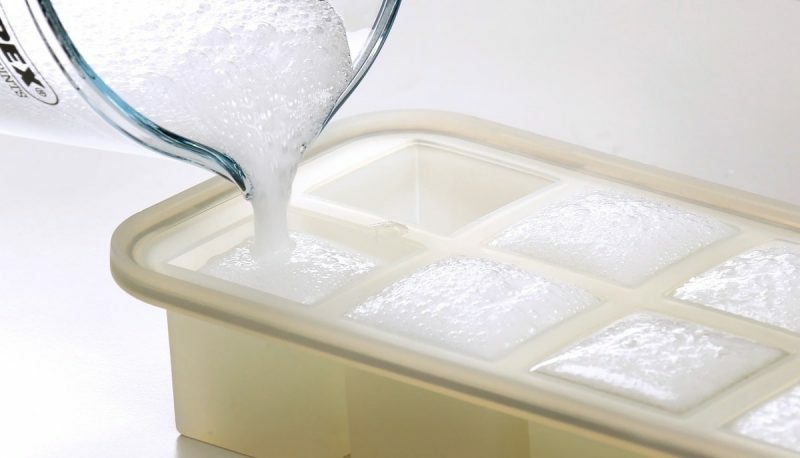 2.2 Purée the mixture and pour the liquid into the molds of an ice cube tray. Freeze the tray, and after a few hours, you'll be able to feel the soothing effects of your homemade sunburn relief remedy on your skin. 3.1 Cut the leaves lengthwise, scoop out the gel, add it to a sieve, and rinse it under water. 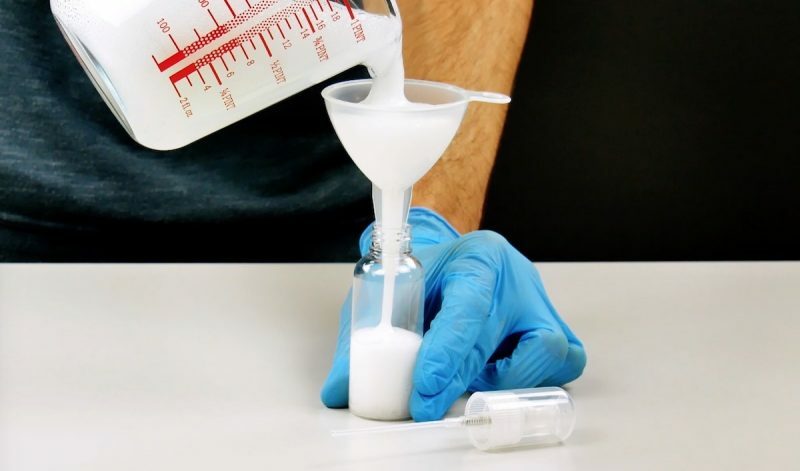 3.2 Pour the rinsed gel into a measuring cup and add the water and ethanol. Purée everything with a blender and pour the liquid into a small spray bottle. Now you have your very own body spray! 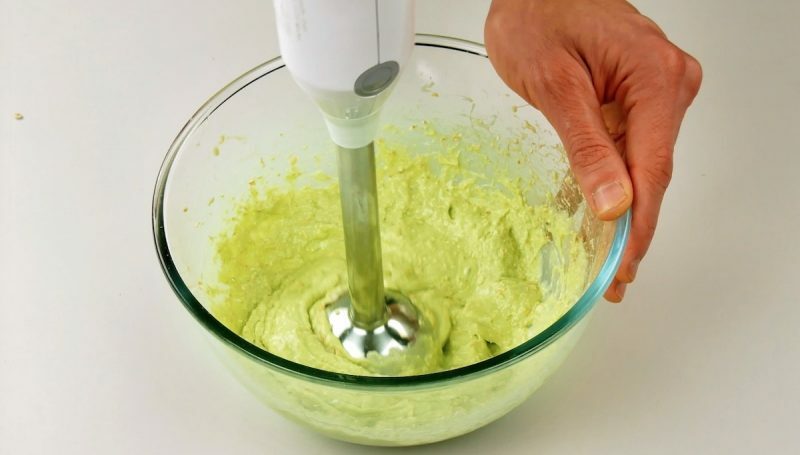 4.1 Mix the gel from 4 aloe vera leaves with the avocado half, coconut oil, honey, and oats. Purée the ingredients into a creamy mass and your DIY cleanser is ready to go! Easy, breezy, beautiful! Thanks to this wonder plant, you can combat dry skin, relieve your sunburn, rock an awesomely fresh fragrance, and clear up your skin. You'll definitely make sure to keep your medicine cabinet stocked with aloe from here on out!